WOOD, JOSIAH, merchant, industrialist, politician, and lieutenant governor; b. 18 April 1843 in Sackville, N.B., son of Mariner Ayer Wood and Louisa Cynthia Trueman; m. there 14 Jan. 1874 Laura Sophia Trueman (d. 1935), and they had four daughters, one of whom died at birth, and two sons; d. there 13 May 1927. 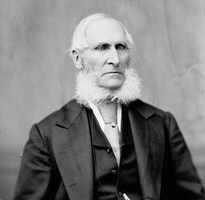 At the age of nine, Josiah was enrolled in the Mount Allison Wesleyan Academy in Sackville, and after graduation in 1861 he entered Mount Allison’s college branch, where he received his ba in 1863, one of its first two graduates. He began a career in law, but gave it up because of the serious illness of his younger brother, Charles Harmon. In January 1871 M. Wood and Sons was created as a three-way partnership to continue the family business, all of which Josiah inherited on his father’s death, Charles having died in the interim. He enlarged the company’s operations, emphasizing wholesale sales, purchasing four ships for its fleet, and using the Intercolonial Railway to complement the seaborne trade and import Canadian-made goods. He also engaged in banking, real estate and industrial investment, and railway building. 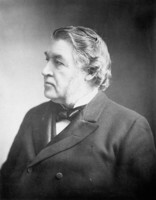 A wealthy and prominent entrepreneur, Wood was drawn to politics and stood in 1878 for the Westmorland seat in the New Brunswick legislature. Despite family connections with the Liberal Conservatives, he was among the unsuccessful four candidates identified as the “Liberal ticket.” He had maintained, however, that he and his colleagues “each will be independent of the other to do as he chooses.” His Liberal lapse was soon rectified. 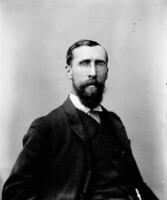 At the urging of Conservative senator John Boyd*, who thought him the only man in Westmorland able to defeat the sitting federal Liberal member, Sir Albert James Smith*, and pressed as well by his uncle Acalus Lockwood Palmer, with whom he had studied law, Wood sought and won the Conservative nomination in 1882. Although the possibility of losing her husband, already frequently absent on business, to Ottawa rather disconcerted Laura Wood, it was still her earnest desire “that he shall get his election.” In June 1882 her wish was fulfilled when Wood obtained a majority of over 400 votes. It was the tariff-protection and railway-building policies of the Conservative party that drew Wood into federal politics. He had become a substantial investor in Moncton’s emerging industrial base, which profited from the presence of the Intercolonial Railway and the National Policy. With such partners as John Leonard Harris* he raised approximately $1,000,000 to fund enterprises that included a sugar refinery, a gaslight and water company, a cotton mill, and other textile- and metal-manufacturing concerns. Substantial real estate interests in Moncton were matched by the property he controlled in Sackville. Another of his projects was the construction of a railway from Cape Tormentine, on Northumberland Strait, to Sackville, where it would link up with the Intercolonial. When it was launched in 1874 as the New Brunswick and Prince Edward Railway Company, Wood had invested $1,000 out of a total of $66,000. By 1882 he would be president and, with $50,000 in stock, the largest investor. The railway company failed to meet the conditions of its charter, by which the provincial government promised a subsidy of $5,000 if construction began by 1878 and the line was completed by 1880. Joseph Laurence Black*, one of Westmorland’s representatives in the provincial legislature and a shareholder, saw to it that time extensions were granted along with a promise of a reduced subsidy. Federal support was not so easily won, even after the Conservatives under Sir John A. Macdonald* returned to power in 1878. Neighbouring Amherst, N.S., represented in the House of Commons by Charles Tupper*, had its eye on a ship railway across the Chignecto Isthmus [see Henry George Clopper Ketchum*] as well as a conventional line from Amherst to Cape Tormentine. In the end grandiose commitments were made to the ship railway, but the other Amherst line was abandoned and the Sackville railway won federal backing. Wood’s intensive lobbying, Tupper’s departure from the cabinet, and the determined support of Sir Samuel Leonard Tilley*, New Brunswick’s ranking representative in the government, carried the day. The railway received a subsidy of $3,200 a mile in July 1885 as well as a federal commitment to construct a wharf at the Cape Tormentine terminus. Wood was able to report in 1887 that $223,000 of the railway’s total cost of $300,000 had been contributed by government. Linked by a ferry, the railway not only functioned as the major connection to Prince Edward Island but also brought considerable economic benefit to southeastern Westmorland County. These gains, coupled with Moncton’s prosperous growth, ensured Wood’s re-election, by almost 550 votes in 1887 and over 2,000 in 1891. In the commons he had quickly earned a reputation for speeches that were balanced, well documented, thoughtful, and polite. He rose predictably in defence of Conservative policies, especially the National Policy, which had, he noted, promoted manufacturing in the Maritimes at a time when shipbuilding was in decline and which had created in Canada “a national unity, a national independence, to which we were utter strangers a quarter of a century ago.” He also advocated government support for the Canadian Pacific Railway and for its “Short Line” from Montreal to Saint John. 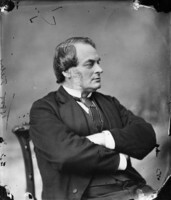 Attacked for using his influence as an mp to promote his own railway venture, he unabashedly acknowledged the subsidies provided, which were normal support available to any railway, he explained, and which had been secured without “any undue influence with the Government.” His lobbying activities were clearly understated, but they were far from untypical at the time. What was unusual for a representative of the Maritimes in the House of Commons was Wood’s questions concerning the Intercolonial. Built and operated at public expense as a “vital bond of union,” the ICR was, he recognized, never intended to be simply a commercial undertaking, but he bemoaned the political patronage linked with it, the increases in freight and passenger mileage that were not matched by increased revenue, and its low rates. By the 1890s he was urging no further extensions of the line, a reduction in its trains and employees, and an increase in rates. Although he did not propose its sale to a private company, he suggested that its operations be truncated through the use of its facilities by the Grand Trunk and the CPR, a proposal that would give these private railways independent access to Maritime seaports. Such a scheme would win Wood little support in Moncton, which housed the headquarters and major shops of the ICR, and perhaps it was just as well that he was spared another election campaign by an appointment to the Senate on 5 Aug. 1895. Old dreams die hard, and, given Wood’s own experiences in the 1880s and 1890s, this one had surprising persistence. One by one almost all the Moncton industries in which he was a partner were bought out, or consolidated and put out of business, by central Canadian competitors as the branch-plant nature of the Maritime economy took hold. 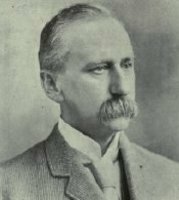 He remained active in Sackville utilities companies and, as the town’s first mayor from 1904 to 1907, oversaw the purchase of several of these concerns by the town council. In 1904 his son, Herbert Mariner, was made a partner in M. Wood and Sons, but the value of the family business had fallen to between $35,000 and $50,000 by 1905. In 1914 the federal government’s purchase, for $270,000, of the renamed New Brunswick and Prince Edward Island Railway, in which Wood had remained the majority owner, probably went a long way towards replenishing the family fortune. One final honour awaited Wood. With Conservative governments in power both in Ottawa and in Fredericton, he accepted appointment as lieutenant governor of New Brunswick on 6 March 1912. He served until 1917, demonstrating his integrity when, despite pressure from former Conservative friends at the federal and provincial levels, he forced James Kidd Flemming to resign as premier in 1914 after a royal commission found irregularities in his fund-raising. 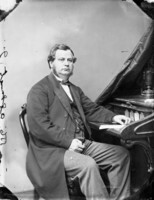 Throughout his life Wood was a generous supporter of the Methodist Church of Canada. Sackville’s Main Street Methodist Church benefited from his work on the board of trustees and the building committee, his financial guidance, and many subscriptions and donations. His beloved alma mater, Mount Allison, was even more in his debt. A member of its board of regents for more than 40 years, he served as treasurer from 1876 to 1922. He made a $10,000 contribution in the early 1880s, endowed the Josiah Wood chair in classics, financed the excavation of a small lake to enhance the college grounds, and donated the $14,800 he had acquired in senatorial indemnities to fund the Josiah Wood lectureship. In return he was awarded a dcl in 1891 and honoured on the 60th anniversary of his graduation. Beset by “feeble health” for the last years of his life, Wood died on 13 May 1927 at the age of 84, widely praised for his integrity, strength of character, sound judgement, and breadth of vision. He left an estate worth $178,869.91, of which approximately $90,000 was in bonds, securities, and stocks. Wood’s career neatly captures the transition from mercantile to industrial and financial capitalism in the Maritimes and the sometimes inadequate political response to it. Although he survived the transition better than some other capitalists, the region as a whole suffered problems of adjustment that would point to its future lagging rather than leading role within Canada. The best primary source collection on Wood is the Wood family papers at PANB, MC 218; also helpful at this institution are the probate records in RS74, nos.1927/3688 and 1935/4393. Holdings at the Mount Allison Univ. Arch. (Sackville, N.B.) include the Wood family fonds (8914 and 9703), the Josiah Wood papers (7843), and Laura [Trueman] Wood’s diary (8510). Chignecto Post (Sackville), 23 May, 13, 20 June 1878, continued as the Chignecto Post and Borderer, 9 Feb., 18 May 1882. Transcript (Sackville), 9 Feb., 23 March 1882. Tribune (Sackville), 9 March 1882; 16 May 1927; 1, 4 April 1935. T. W. Acheson, “The National Policy and the industrialization of the Maritimes, 1880–1910,” Acadiensis (Fredericton), 1 (1971–72), no.2: 3–28. D. E. Alward, “Down Sackville ways: shipbuilding in a nineteenth century New Brunswick outport” (ba thesis, Mount Allison Univ., 1978). Biographical review . . . of leading citizens of the province of New Brunswick, ed. I. A. Jack (Boston, 1900). Can., House of Commons, Debates, 1883–96; Senate, Debates, 1896–1911. 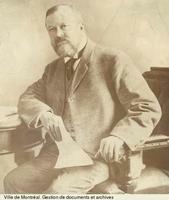 Canadian biographical dictionary and portrait gallery of eminent and self-made men (2v., Toronto, 1880–81). A. T. Doyle, Front benches & back rooms: a story of corruption, muckraking, raw partisanship and intrigue in New Brunswick (Toronto, 1976); Heroes of New Brunswick (Fredericton, 1984). D. [W.] Jobb, “Josiah Wood [1843–1927]: ‘A cultured and honoured gentleman of the old school’” (ba thesis, Mount Allison Univ., 1980); “Sackville promotes a railway: the politics of the New Brunswick and Prince Edward Railway, 1872–1886,” in People and place: studies of small town life in the Maritimes, ed. L. [D.] McCann (Fredericton and Sackville, 1987), 31–56. L. D. McCann, “Metropolitanism and branch businesses in the Maritimes,” Acadiensis, 13 (1983–84), no.1: 112–25. C. R. McKay, “Investors, government and the CMTR: a study of entrepreneurial failure,” Acadiensis, 9 (1979–80), no.1: 71–94. The mercantile agency reference book . . . (Montreal), 1870–1930. W. C. Milner, History of Sackville, New Brunswick (Sackville, 1934); “Our lieutenant governors,” Busy East of Canada (Sackville), 9 (December 1918): 20–22. Prominent people of New Brunswick . . . , comp. C. H. McLean ([Saint John], 1937). Standard dict. of Canadian biog. (Roberts and Tunnell), vol.1. G. R. Stevens, Canadian National Railways (2v., Toronto and Vancouver, 1960–62), 2. The Wood family, Sackville, N.B. : being a genealogy of the line from Thomas Wood of Rowley, Mass., born about 1634, to Josiah Wood, of Sackville, N.B., born in 1843 . . . , comp. J. A. Kibbe (Warehouse Point, Conn., 1904). W. G. Godfrey, “WOOD, JOSIAH,” in Dictionary of Canadian Biography, vol. 15, University of Toronto/Université Laval, 2003–, accessed April 24, 2019, http://www.biographi.ca/en/bio/wood_josiah_15E.html.